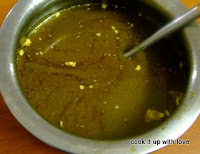 Soak the dates in warm water for a few minutes, and then make a fine paste out of it. Now grind coriander leaves, mint leaves and the tamarind pulp together with red chilli powder. 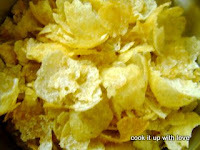 Add water to it and mix well. Now add the paste made out of dates, chaat masala and salt. Quick chaat chutney ready! 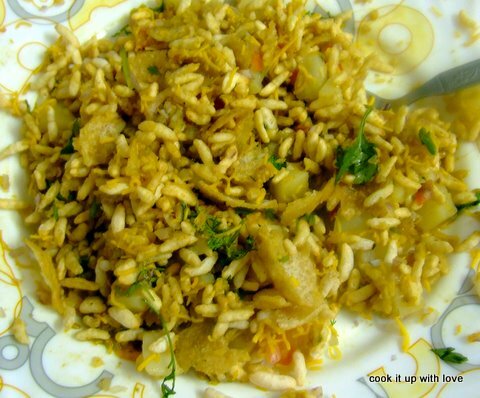 The other ingredients of Bhel puri like Sev, Puri and puffed rice are readily available in the market. 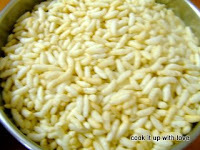 In large bowl take the puffed rice, and add the chopped coriander, tomatoes and onions and mix well. 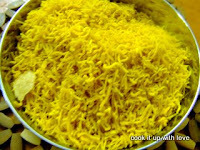 Now add the sev, broken puris and mashed potatoes. Finally, just before serving, add the chutney as needed, and mix well. Sprinkle chaat powder on top if required. 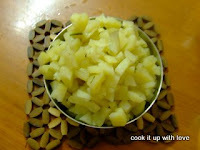 This entry was posted in Chaat Corner, Vegan . Bookmark the permalink.